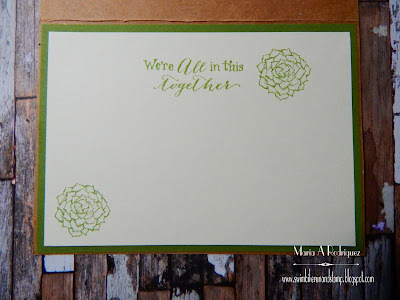 Hello everyone: The new SHOPPING OUR STASH challenge's theme for this time around is MAKE YOUR MARK, that means you must use markers to color your images. This is the card I made and I hope you get inspired to come and play along. I adore Succulents and this particular one from a Power Poppy set called Sassy Succulents. This particular Succulent is very hardy and grows beautifully. The sentiment and the images are from the same set. I hope you decide to join my teammates and I and "Make Your Mark" in our gallery. LeAnns World 101 "Anything Goes"
Cards in Envy I moved the design to the other side. The Sassy Succulent is one of my favorites as well!! I love your CAS design and the beautiful way you colored the image. Very nicely done! OMGee! Maria, I LOVE how you've colored these beautiful succulents! They just explode off of your card base! Such a gorgeous card! Fabulous card, beautifully coloured succulents. they do seem to pop right off the page. Beautiful take on our sketch! Love the succulents and your coloring. Thanks for sharing with us at Cards in Envy. Ohhhhhh teammie, this is so amazing!! I love love love succulents and your rendition here is just perfect! This reminds me of my mother. She loved Hens and Chicks . Your card is really pretty . The shading makes the plant just pop off the paper. Oh, another favorite set with so many cute little images, plus this larger one. Fun coloring of this one. Love it with the sketch! Such a beautiful card! The succulents are very pretty. I love your interpretation of the sketch. Thank you for playing with us over at Cards in Envy! Wow, I really LOVE this! My family and I all love succulents, too. Great job on the CAS layout and coloring. 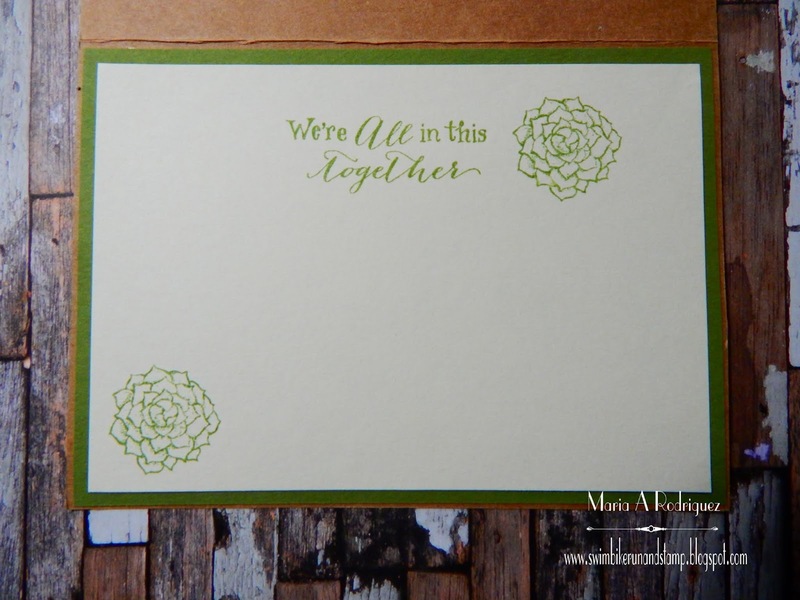 That set is so cute-- and the sentiment is perfect for the hen and chicks!